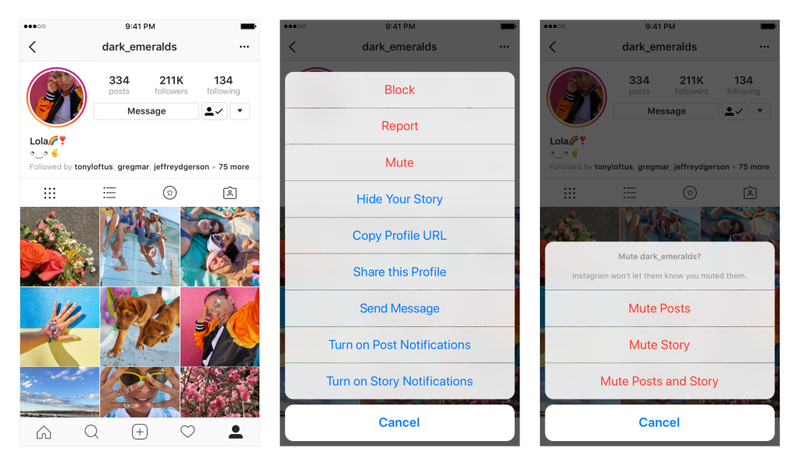 Instagram recently added a new feature that allows users to mute accounts they follow, thereby preventing them from seeing what they post on the application. This feature was announced on the 22nd of May on the official Instagram blog and is one of the steps the company is taking to give its users more control over their timelines. 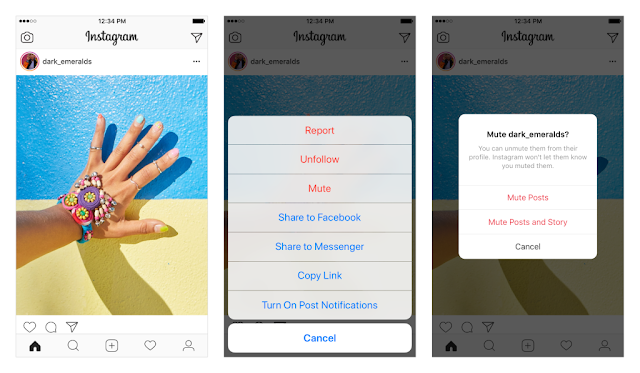 The feature is called Mute, and allows you to simply stop seeing what certain accounts that you follow post on your feeds, as well as their Instagram Stories, instead of outrightly unfollowing them. With the feature, you can still keep following an account, visit their profile page to view their posts and stories, get notified when they tag you in a post or comment, but you'd not see their posts and stories in your feed again. There are three places from which you can mute an account. From your feed, open the overflow (...) menu in the right top corner of the post, tap on Mute and choose between muting just the account's posts or both posts and stories. From the stories pane (at the top of your feed), press and hold on a story and tap on Mute. The above two steps, but from the account's profile page. Whenever you decide to start seeing the account's posts in your timeline again, you can simply unmute the profile. The account user won't get notified when you mute and unmute them, so there's no need to be afraid of stepping on toes. This feature which has been available on Facebook for years is still rolling out and might not be available to all users yet, so don't panic if you can't find the option in your Instagram feed now.